Last week's poll totally blew me away. I had talked with Kevin on it before it was posted, and we both agreed it would be close. I had no idea it would be a dead heat at 50/50 however. Out of over 15k votes, the results were split down the middle on using a 3rd party theme or not. Really interesting stuff on that one. For this week we turn to another burning question. While at WES, I was asked what is the easiest way to add a contact to BlackBerry Messenger. While I find that in person, the barcode method is best, others say that they always just add via PIN. 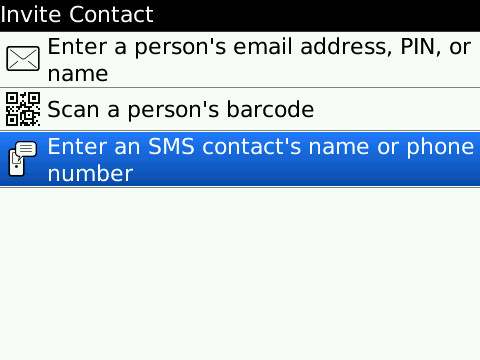 Then there is also the email address and elusive "SMS contact's name or phone number" method. While I have never been able to add a contact via email for some reason, others have done it without a problem. So our question this week is, what is your primary method of adding contacts to BlackBerry Messenger? Cast your vote in the poll and leave a comment letting us know why you choose that method.